Although Virgin Galactic’s SpaceShipTwo is likely to be the first spacecraft to offer mass space tourism, it only offers space tourists a short hop into space for a few minutes. (See my previous post from 5 August “The Virgin Galactic Experience” for more information.) To remain in space, a spacecraft must travel at a speed fast enough to enable it to get into orbit Any slower and the Earth’s gravity will pull it back to Earth. It must also reach an altitude high enough so that the spacecraft is not slowed down by friction due to traces of the upper atmosphere, causing it to spiral back down to Earth. Although the boundary of space is 100 km, the minimum altitude where a spacecraft can remain in orbit for 1 day before it is dragged back to Earth is 160 km. To stay in orbit at this altitude a spacecraft must reach a speed of 17.700 mph (28,500 km/h). It obviously takes a large powerful rocket to accelerate a spacecraft large enough to carry one or more astronauts, plus their supplies, to this speed and altitude. 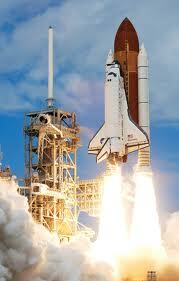 The Space Shuttle lifting off. Image from NASA. To put 7 astronauts, plus up to 24 tonnes of equipment, into orbit its engines and the attached boosters produced a total of 6.8 million pounds of thrust at lift off. By comparison the rocket motor on SpaceShipTwo will produce only 60 thousand pounds of thrust. 8 of the Russian space flights have had space tourists aboard who paid between $20 million and $40 million for the trip. 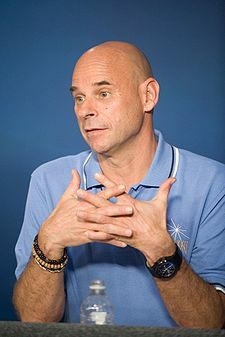 The French Canadian Guy Laliberte, founder of Cirque du Soleil, who paid $40 million for a 11 day trip into space in 2009. Image from NASA. In a major speech in 2010 US president Obama announced a major shift in the function of NASA in American human space flight. To get to and from the International Space Station (ISS), the US would use spacecraft and launchers designed, manufactured, and operated by private companies. Rather than build its own spacecraft to replace the shuttle, NASA would award grants to private companies to support research and development into human space flight. It would then provide further grants for companies to develop spacecraft capable of reaching low Earth orbit. NASA would select which company (or companies) to use to transport astronauts to and from the ISS and would buy seats on their spacecraft. Private companies would also be free to sell seats on their spacecraft to anyone else willing to pay the going rate. Sierra Nevada Corporation. This is a fast growing electronics and aerospace company owned by the husband and wife team of Erin and Fatih Ozmen who arrived in America from Turkey in the 1980s with little money and speaking limited English. Whichever of these companies wins the contract, transport of astronauts to and from the space station will only form part of their business. 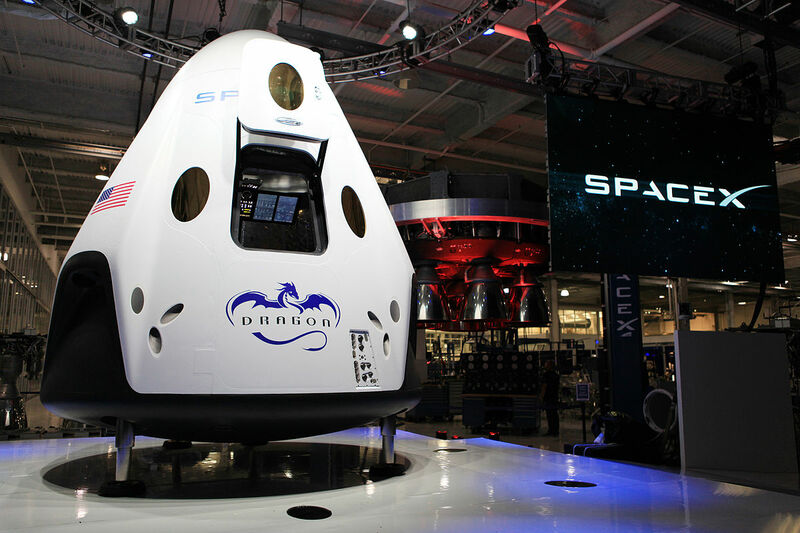 They will provide a orbital space tourism experience for customers willing to pay the price. 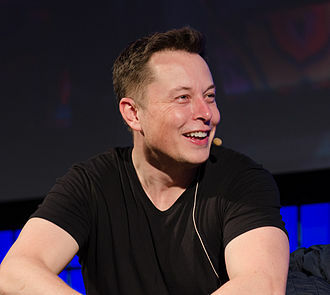 For example, at a news conference in 2012, SpaceX indicated that their target launch price for crewed flights on their Dragon V2 was $140,000,000, or $20,000,000 per seat if the maximum crew of 7 is aboard, and if NASA orders at least four flights per year. In addition to the NASA contract, SpaceX could supply additional flights a year solely for space tourists willing to spend around $20 million to experience a week or so in orbit, perhaps with a brief stay of a few days in the ISS thrown in. This would be a very different experience from the short hop of a few minutes into space offered by Virgin Galactic. In time, as more companies enter the market, thereby increasing the supply, and the technology become more established reducing the development costs the price of orbital space tourism should come down. However there is still the barrier, due to the basic laws of physics, that it takes an large amount energy to put a space capsule big enough to hold a number of humans, plus their essential supplies into orbit. This means that it can never become cheap in the way that air travel is today, but, perhaps, it will be possible by 2045 to spend a week in space for equivalent of say $1-2 million in today’s money. Sadly this is well beyond the budget of Mr and Mrs Geek. I hope you have enjoyed this post. Mrs Geek and I are off on holiday to Scotland next week. When we return my next post will be about the search for extraterrestrial intelligence, a subject which has fascinated me since childhood. Next Post Is There Anyone Out There ? I enjoyed your post. I only recently became aware of Xspace via Youtube and they are really pioneering in this area. Look forward to your next post Astrobiology is a field that really interests me.